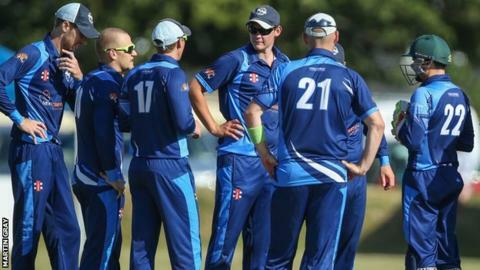 Cobo Tigers have won Guernsey's 50-over weekend cricket league for the second time in three years. The club, who also won the Twenty20 title earlier this month, defeated defending champions Miton Optimal by five wickets in a game that lasted less than two hours. Miton were out for just 76 in 18 overs despite Will Peatfield's 39 not out. In reply, Cobo reached their target in just 15.5 overs, with Darren Rouse making 30, as they clinched the title. Cobo will complete a seasonal clean sweep if they win the Evening League, which they currently lead.